Author at navy second-class dive school. 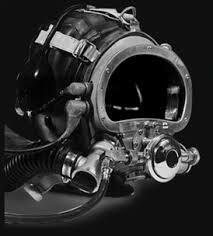 I was a diver in the navy from 1971-1975, and all us divers on our submarine had received top secret clearances. I was not a SEAL but a saturation diver, trained for deep dives and extended periods of time. I made five saturation dives in the navy and three of them lasted one week each - explained later. About eight years ago, I corresponded a few times with John Piña Craven. He was an officer in the US Navy and, in fact, was the Chief Scientist of the Special Projects Office of the United States Navy. He has a bachelor’s degree from Cornell University, a master’s of science degree from California Institute of Technology, a PhD from University of Iowa, and a law degree from George Washington University. I had shared with him some details of our special-operations project that I have not seen written about, including one problem we encountered at the site of operation and how we ultimately solved the problem. Craven published the book The Silent War: The Cold War Battle Beneath the Sea. He guided the navy’s undersea special-projects operations during the Cold War, and we owe him a debt of gratitude for his service. In his book, he talks about the project I was involved in, and he writes about it in the first person (not hearsay). How he was able to do this without crossing over the legal line, I cannot tell, but aside from being a scientist, he was also a lawyer. The nuclear submarine USS Halibut, while it was still in service, had the distinction of being the most highly decorated submarine of the post-WWII era. What follows is somewhat technical, but there is a point to it all. I joined the navy as a reservist and originally had a two-year active-duty obligation, but I kept extending my time so I could attend three navy diving schools. In all, I served nearly five years on active duty and more than a year reserve time. The navy sent me to two diving schools in Washington, D.C.: second-class dive school, an ten-week diving and salvage school; and first-class dive school, which lasted seventeen-weeks. I graduated top in my class from both. In addition, I graduated fourth in my class from the navy's saturation dive school at Point Loma, California, which was about a fourteen-week program. Control room, similar to the one on USS Elk River which we used for training. 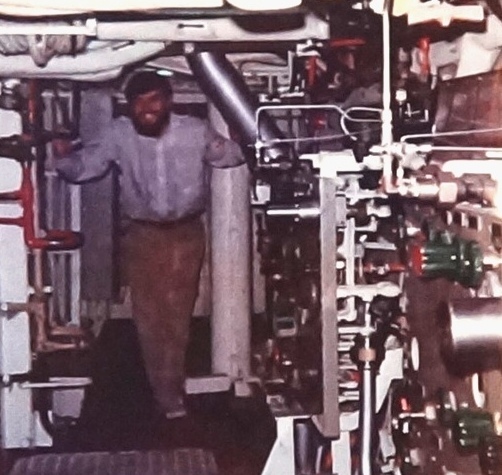 In 1975, there were only 200 saturation divers in the navy, and basically, we either went to experimental diving stations or to special operations. I ended up in special ops on the fast-attack nuclear-powered submarine USS Halibut SSGN-587, a 350-foot vessel with two levels in the middle section and a crew of 130 men, plus more than twenty divers. No other submarine had the unique silhouette of the USS Halibut (see picture above). There was a huge metal bubble on the deck of our sub, named the “bat cave”; it was situated halfway between the bow of the sub and the conning tower. Then, on the tail end was something that looked like the Deep Submergence Rescue Vessel (DSRV). 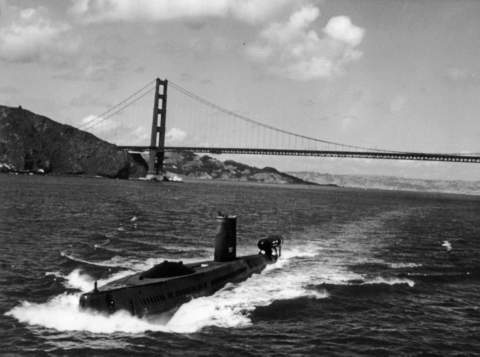 Once, when we were on the surface and coming into San Francisco Bay under the Golden Gate Bridge, a newscaster who was in a helicopter reported seeing our sub, and he described it as looking like it was pregnant (bat cave) and carrying a baby on its back (DSRV). 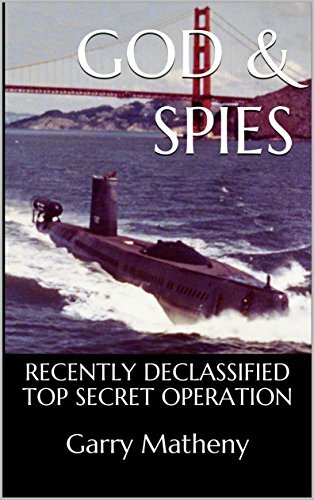 The following are a few of John Piña Craven’s quotes when speaking of our submarine: “The Halibut was responsible for the success of at least two of the most significant espionage missions of our time” (p. 140). There were many major technical difficulties for the overhaul of the Halibut to make it ready for these operations, however, he said, “But I think these problems pale beside the importance and ultimate impact of the intelligence operations that Halibut would be involved in and the grave dangers she would face” (p. 142), more on this further on. At this time in the life of our sub, it had become a diving platform and existed to take us divers where we needed to go. We would make our dives and then return to port; our missions (unless training) would last from two to three months. In all, I was attached to the USS Halibut for a year and a half. During this time, I was asked by an officer, who oversaw security for our mission, what I thought about the special operation. My response was then, and still is today, “Our enemies do similar things to us, and we would be unwise not to do the same.” While we were in port, the navy would send out teams to try to find out what we were doing, with the idea that if they could discover our mission, then our security was not good enough. A cover story was created to disguise the actual mission, and we were told to stay out of certain stores because of the possible connection with what we were doing. In preparation for our special ops, we would make training dives in excess of 400 feet in depth, which lasted seven days. We stayed in a diving chamber during this period and were in the water for a few hours each day. To breathe air at such a depth would make one dangerously drunk (called nitrogen narcosis), so we breathed a special mix of helium and oxygen. The seven days were divided into three days at depth and four days of decompression. Decompression is when the built-up helium in the bloodstream is given time to come out, so bubbles will not form in the diver’s blood. At 400 feet, the pressure on your body would be twelve times greater than on the surface. The inside of a submarine is kept at one atmosphere (what we have on the surface), so if a door is opened to the sea, such as a door on the bottom of a submarine, the seawater would immediately enter and flood the sub. But our diving chamber was kept at the same pressure as the outside water, in our case twelve times greater than on the surface (or twelve atmospheres), so when we opened a door on the bottom of our diving chamber, the water would not come in. But this extra pressure means divers would be breathing twelve times as much gas in one breath as they would on the surface. All this “extra” gas would be forced into a diver’s lungs and then into the bloodstream, which is why we decompressed—to give time for the gas to come out of our bloodstream. It is called saturation diving because in a dive of more than twelve hours, the bloodstream becomes saturated with whatever gases (in our case, helium and oxygen) a diver breathes, and he cannot take any more into his bloodstream unless he goes deeper. spacious compared to our Sub. was 3 million for 6 rigs! The actual diving chamber, from which the dives were made, was situated directly next to the first control room and had space for four divers. We slept, ate, took sponge baths, and made our dives from this small, three-room, tube-shaped diving chamber, which we were not able to completely stand up in because the ceiling was too low. One room was for “pressing down” more divers or a medical officer in the event of an emergency, a second was for sleeping and housed a toilet and sink, and the third was the lockout chamber, where divers prepared to enter the water. Each room or compartment of the chamber was separated by round metal doors more than an inch-thick, which could withstand the extreme pressures at that depth. In addition, there was also a small, two-foot-by-one-foot chamber to convey food back and forth to the divers. ​ Owing to the necessity of breathing helium and oxygen in place of nitrogen and oxygen (air), we used a special communication system that unscrambled our speech so we would not sound like Donald Duck, an effect brought on by the helium on our vocal cords. Attached to each diver were five hoses or cables 350 feet long: the hot-water cable, a wire cable to pull us back in the event of an emergency, a communication cable, and one hose that pushed our gas to us, and one that pulled it back so no bubbles would reach the surface and no one would know we were there. ​ One may be thinking that, because of the cables connected to me I was not able to swim around freely, like scuba diving. That’s true, but I didn’t want to! The depths were too deep for scuba diving. At that depth, when a diver has his bloodstream saturated with the gas he is breathing, if he swam only halfway to the surface, he would die. At any rate, I made more than 200 scuba dives in the navy and nearly 100 other dives with some sort of umbilical cord or cords. The sea held little scenery at 400 feet, only some giant king crabs and strange-looking fish about eighteen inches long, with heads almost half the size of their bodies and eyeballs bigger than a human's. They were not afraid of us divers and swam right up to us and stared. They even sat in the silt at the sea bottom, still gazing at us, which seemed eerie. We dove between “windows” in the tides to prevent fighting the currents and for better visibility, which in the frigid blackness was only about six feet. The sea’s temperature was 27 degrees Fahrenheit and would have been frozen solid had it not been saltwater. 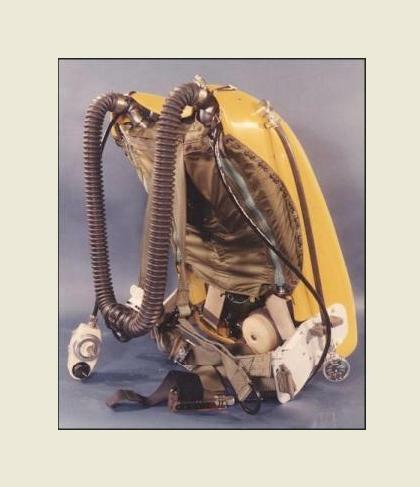 Because of this us divers wore two wet suits, one eighth-inch-thin rubber suit and one three-eighths-inch thick, with hot water pumped between the two to prevent hypothermia. We needed the eighth-inch liner so the 140-degree water would not scald us. Once, before a dive, I put my hand into the seawater just to see how cold it felt, and I could not hold my hand in it. The saltwater tried to freeze the blood in my hand, and I could feel it go up my arm and into my heart! On one dive, some gas leaked under my face mask, which was attached to the liner. The gas seeped over my head and got trapped under the liner, causing my face mask to rise up on my face. On my second dive, I didn’t want to fight with my face mask again, so I had this “bright” idea to cut two small holes in the thin liner, so any bubbles could go through it and not cause my mask to rise up. The problem was, I didn’t realize it would take time for the hot water to circulate up that high in my wet suit, so when I entered the sea, in came the freezing cold water straight to my head. It felt like someone was driving two spikes into my brain! I wasn’t sure what to do, and when those in control kept asking through our communication system why I was not moving out, I stalled for time. A diver just didn’t bail out and crawl back in the dive chamber; he might not be allowed to make the dive and another diver could take his place. Fortunately, after a few minutes and a terrible headache, the hot water circulated up to my head, and I was able to perform the dive. We wanted to make the dives. I gave this technical part just to get to this point. There were twenty-one saturation divers on the sub, but only eight divers would make the two saturation dives necessary for this operation. 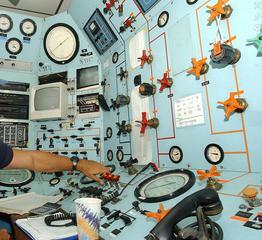 The others would man the two control-rooms, which would run nonstop during the dives. More than eight of us wanted to make these dives, and those in charge would not tell us who would dive until we were two weeks out to sea. We had practiced a year for this one special operation, and I definitely wanted to be one of the eight chosen. My desire to make the dive had become so strong and important to me that I began to base all my decisions around it. The reason this operation was so important to me was because it was important! All the divers knew that those who would make the dive would be put in for one of the highest medals our nation gives: the Legion of Merit. 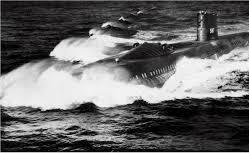 The USS Halibut was equipped with "skids" so she could sit on the ocean floor. The operation, which continued after I left the navy in 1975, remained safe until the 1980s, when it was compromised by National Security Agency (NSA) cryptologist Ronald W. Pelton. Pelton was tried and convicted of espionage and sentenced to three concurrent life sentences at the federal correction institution, of Allenwood, Pennsylvania. In his book The Silent War, Craven said, “The KGB succeeded in recruiting … [Ronald W. Pelton, who] … would betray how the Navy had tapped Soviet underwater communications cables, including the crucial role of saturation diving in those operations” (p. 278–279, emphasis mine). ​ While on the submarine, I wrestled with whether or not I would serve God. There was a Bible study on the sub that I had been to a few times, and to be honest, I was a little concerned about others seeing me go to it. For one thing, my testimony was not what it should have been, which in part, kept me from standing up for the Lord. (It’s hard to talk about God when you are not living for Him like you should.) Also, I thought if I attended the meetings, others would poke fun at me, and more importantly (though probably unfounded), I had this thought I might not be chosen for the dive. There were at least three officers who would take part in the decision process, and any one of them could stop a diver from making the dive. I can see now I was too concerned about what other people thought. “Yeah, right, Chief,” I replied, laughing. I had no intention of going to any college, let alone Bible college, but after he said that, I never quite got the idea out of my head. And God used him greatly to encourage me in my Christian life. God had also placed another Christian brother on this submarine, who I will call “Preacher.” He led a Bible study, and on Sunday he preached. I had never heard preaching before in my life, and it stirred my heart. It wasn’t some sermonizing from a denominational textbook, but standing up and declaring God’s Word, and it stirred my heart. Though teaching the Bible is also of our Lord, God chooses preaching as one of His main ways to grab hold of people (I Corinthians 1:21). Teaching is giving out information but preaching has urgency in it. The purpose of preaching is to bring change, not to fill you with information. As I said before, I was afraid I might not make the dive if I was seen going with the “God squad” (as the Christians were called) to the Bible studies. One time when on my way to a Bible study, a couple of submariners stopped me and wanted to talk. But I was in a hurry and was trying to figure out some way to leave without them asking where I was going. But they kept on talking without giving me a chance to speak. I finally caught on that they were doing it intentionally because they had figured out where I was going. This was before all the electronic games and there is not much recreation on a submarine, so finding someone to poke fun at becomes a favorite pastime. “I’ve got to go,” I finally said. “Well don’t be late for your prayer time.” They got a laugh out of it. my pocket and went to the Bible study. “Lord,” I pleaded, “please let me. It’s really important to me.” But I could not shake the thought out of my head, “If I don’t let you, will you still serve me anyway?” It seemed like a bitter cup to drink. I felt heartsick, thinking about being passed over and someone else taking my place. And the only thing I thought the Lord wanted to know was, “What if I don’t let you?” There is only one response the Lord wants in a situation like this: do what He wants, even if you don't get what you want. So I said, “Okay, Lord, I will serve you even if you don’t let me make the dive,” and then I added, “but I really would like to do this.” The Lord likes it when you put the decision in His hands, where it needs to be. The next day, the diving officer walked up to me and said, “You're making the first dive,” and then he walked off. I was thankful to the Lord, and I thought that since I had planned to go to the Bible study after the dive, why not start before it, which I did. As I said before, these particular dives lasted seven days, but we were actually only in the water three times on the first saturation dive. Each wet dive (actually in the water) was carried out with two divers in the water, two to three hours at a time. I accomplished the first wet dive and served as lead diver on the third one. After the submarine returned to port, I fulfilled my last month of active duty and was discharged from the navy, and then I registered for Bible college. Farewell to a great submarine, the USS Halibut. She was decommissioned at Mare Island California in June of 1976. For more on this see GOD'S WORKING IN THE DEEP under HELPFUL VIDEOS I.
GM Matheny was a US Navy saturation diver on the nuclear submarine USS Halibut. 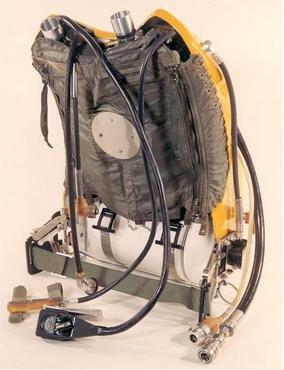 Involved in "Operation Ivy Bells". America’s most important (and most dangerous of the Cold War) clandestine operations. There were several things that happened at the location of the dives than no one has ever written about before because those few books that mention this mission were written by those who were not assigned to the USS Halibut.